As we make changes and improvements to our forums, we will tell you about it here. Only administrators may post here, but everyone has read access. Read the rules before you start posting! Post your fan art and fan fiction here. 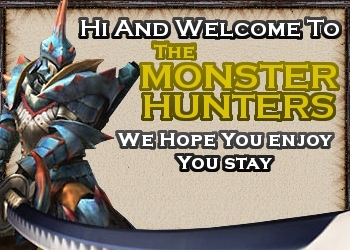 Read whats new in the world of monster hunter, here all the official news should be posted and discussed. Do you have questions about the game? Post them here. Looking for a guide but can´t find it, then request it here. Read all about the mighty monsters of monster hunter! Want to know what people thinks, then this is your chance. Post your Monster Hunter Freedom Unite videos here. Discuss Monster Hunter Portable 3rd here. Post your Monster Hunter Tri videos here.